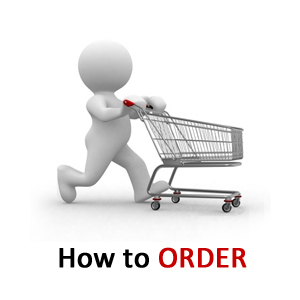 We have 3 Order Procedures. 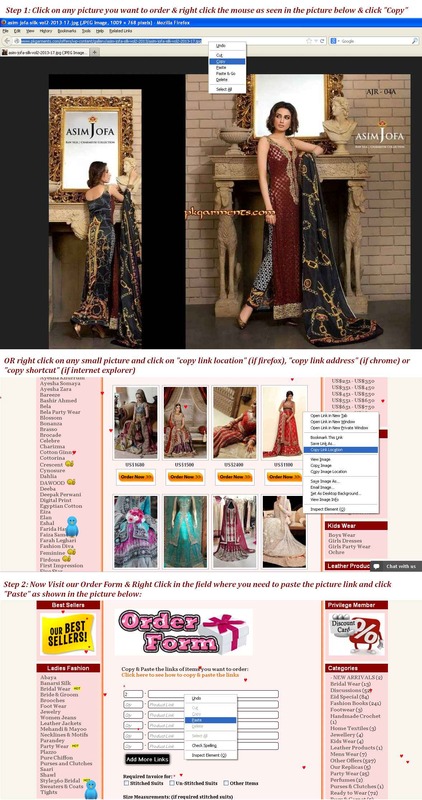 2) Let us know your choice of items you want to order by copying and pasting the picture links in the first box. 3) Fill rest of the form as mentioned and required. 4) Click Submit and wait for our reply. You will get our email within less than 24 hours time for sure. 1) Let us know your choice by copying and pasting the picture links or send the pictures by attachment in email. 2) Inform the number of pieces required along with their size and other necessary details. 3) Mention the country where delivery is required and also please inform whether you require stitched suits or unstitched suits. 4) Send it to: ss@pkgarments.com in order to get confirmation from our side and the total billed amount info. Upon receipt of your email, we will send you the invoice containing all necessary details and payment procedure with your total billed amount info. 1) Let us know your choice by sending the pictures (from our website only), on our whatsapp number: +92345-2492521. 2) Let us know your email address. Upon receipt of your message, we will send you the invoice containing all necessary details and payment procedure with your total billed amount info on your mentioned email address. How can I copy and Paste the Picture link location? Please put your mouse pointer on the picture of your choice and press the right click button. Then click on “Copy Shortcut” or “Copy Link Location”. Now paste this shortcut in the order form’s first box. Leave your comments on facebook box above.